Bruxism affects sufferers in many ways. Some of the adverse effects are short-term and disappear when the bruxism ceases. Others sadly, are long-term or even permanent. 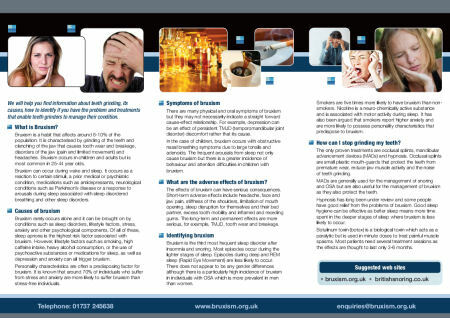 Headache - Bruxism sufferers are three times more likely to suffer from headaches.